Roll your eyes if you’ve heard this one before - The Cleveland Browns have added some talent and will be able to compete this year. Although each season seems to carry a certain level of promise with it, the 2018 Browns actually look decent on paper. This is not a typo: After losing all sixteen games in 2017, the Browns have won just a single game in their last thirty-two. A $100 per game bettor on the Browns money line would be down over $2,900 the past two years. The Cleveland Browns betting odds provide excellent value to those willing to get burned once again. They must start winning one of these years. Will this be the year? The team has decided to retain head coach Hue Jackson despite his 1-31 start with the team. Give the Browns some credit for attempting to maintain some consistency in a franchise that has seemed like a revolving door of change at times. The Browns have the youngest average roster age in the NFL. Each year that Jackson has to grow with his young core should pay dividends. The Browns were blessed with both the #1 and #4 picks in this year’s NFL Draft. After having nine different quarterbacks under center over the previous three seasons, the Browns realized their need for a stable, franchise quarterback. They selected Heisman winner Baker Mayfield to fill this role. The Browns then went on to select corner Denzel Ward with the #4 pick, a lockdown man who is sure to help this mediocre secondary. Cleveland also made a splash with their second-round selection of Georgia running back Bradley Chubb. Chubb has impressed coaches and teammates during rookie camp and looks to carry his success from the SEC to the AFC North. One statistic the Browns can hang their hat on from their embarrassing 0-16 2017 season is the fact that they were one of only seven teams to hold opponents under 100 rushing yards per game. Last year’s first round pick Jabrill Peppers has made a nice impact for this unit, recording 57 tackles in his rookie season. The real star of the Browns’ defense, however, is emerging elite talent Myles Garrett. This defensive end recorded 31 tackles and 7 sacks in just 9 starts in his rookie 2017 campaign. Reports from Browns camp indicate Garrett is quickly becoming a feared pass rusher and will be a game changer in 2018 for this defense. In a vast improvement from last season’s projections, the Cleveland Browns betting odds to win Super Bowl 53 are listed at 60-1. Here at SkyBook, we pride ourselves on being the best NFL sportsbook for all your football betting needs. 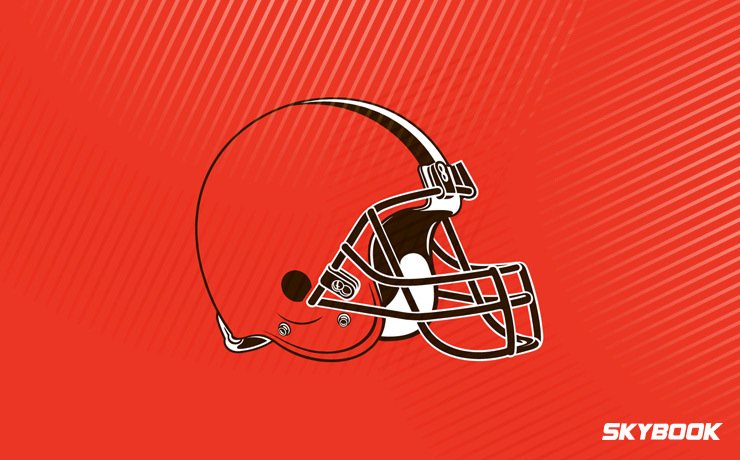 We are your source for Browns game analysis, matchups, and injury reports. With this much young talent, there will by many football bettors willing to take a chance on this group. Remember that we offer the best Cleveland Browns betting odds along with great bonuses that you will not find at any other sportsbook.